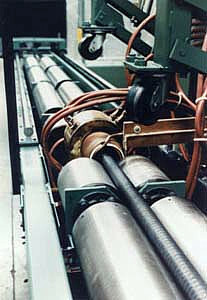 Shafts and rods from 4' to 20' long, one inch to four inches in diameter are hardened and tempered. 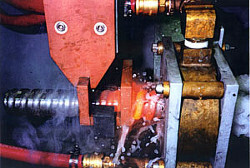 Also, ball screws, lead screws and chrome shafts are processed. 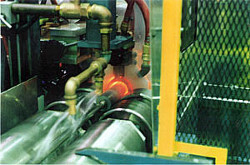 Horizontal scanning of long lengths offers easier handling and better control of distortion. 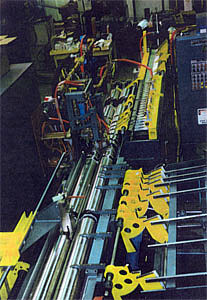 By using pick and place factory cell concepts, you can reduce direct labor costs, eliminate costly retooling, handle a wider variety of parts and add real flexibility to your operation. 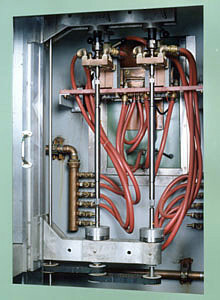 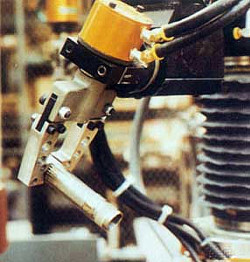 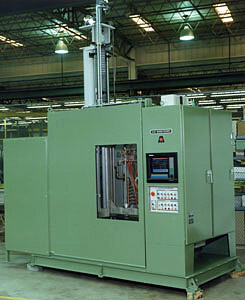 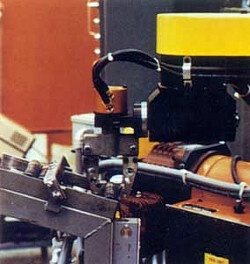 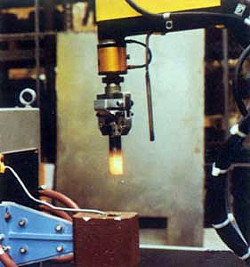 Here, reaction shaft hardening is reduced to the simplest pick and place motion.